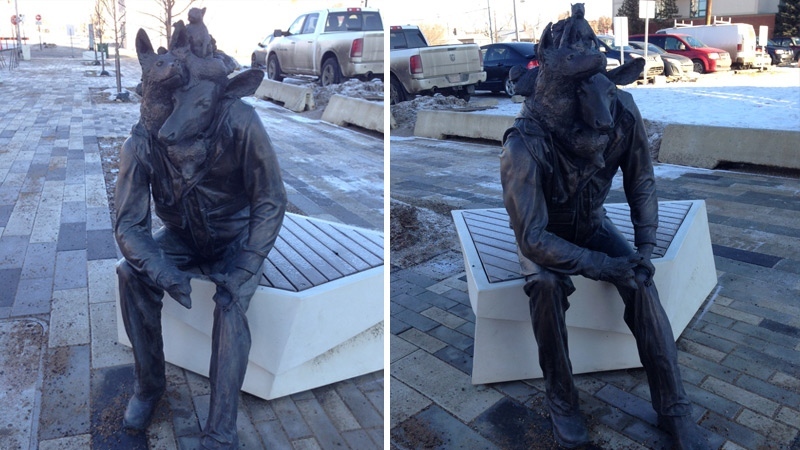 Two statues have been installed north of Jasper Avenue on 96 Street, as part of the development of the new Quarters district, and they’re being met with mixed reviews. The two sculptures, called Wild Life by Toronto-based artist Brandon Vickerd, were paid for by tax dollars as part of construction work being done in the area – from a distance, the sculptures appear to be human, but a closer look reveals that in the place of heads and hands, creatures are coming out of clothing that is posed to look like a person. “This is an urban world, but it’s superimposed on the natural world, which of course is filled with wildlife, so while we walk here, they walk, say there in the river valley,” Katherine Kerr with the Edmonton Arts Council said. Allen Dennis lives in the area, and said he loves the pieces of art. Rebecca du Plessis and her friend went to see the sculptures after seeing pictures online. 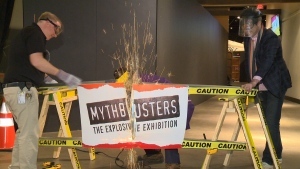 “I think it’s lovely, very well done,” du Plessis said. Kiona Ligtvoet said she likes the sculptures as well. “I understand how they would be seen as creepy, just because it’s in the form of a person,” Ligtvoet said. Meanwhile, Kerr said she thinks feelings about the sculptures will improve once the area is developed more. The sculptures are one of three projects along the streetscape. In about a month, an 18-foot high stainless steel sculpture called Wildrose will be installed north of Wild Life, while later in the spring, poetry will be etched into the stone on the road. 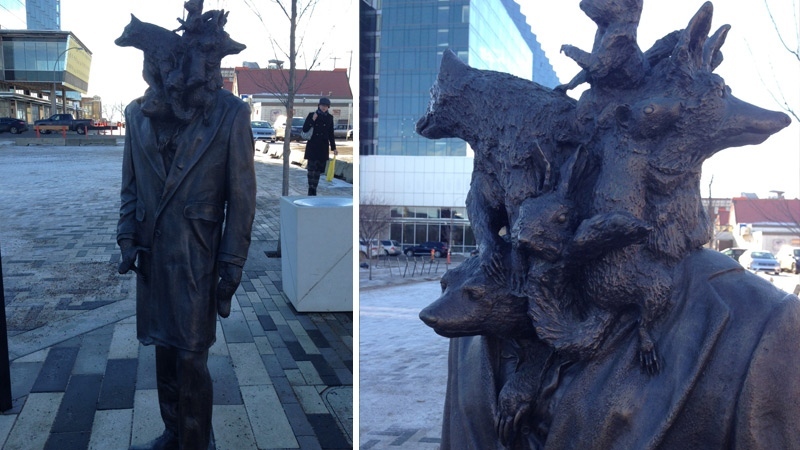 One of two sculptures as part of Wild Life by Toronto artist Brandon Vickerd, seen on 96 St. north of Jasper Ave.
A second statue, also part of Wild Life, sees a similar sculpture, standing. What do you think about this newly-installed public art?